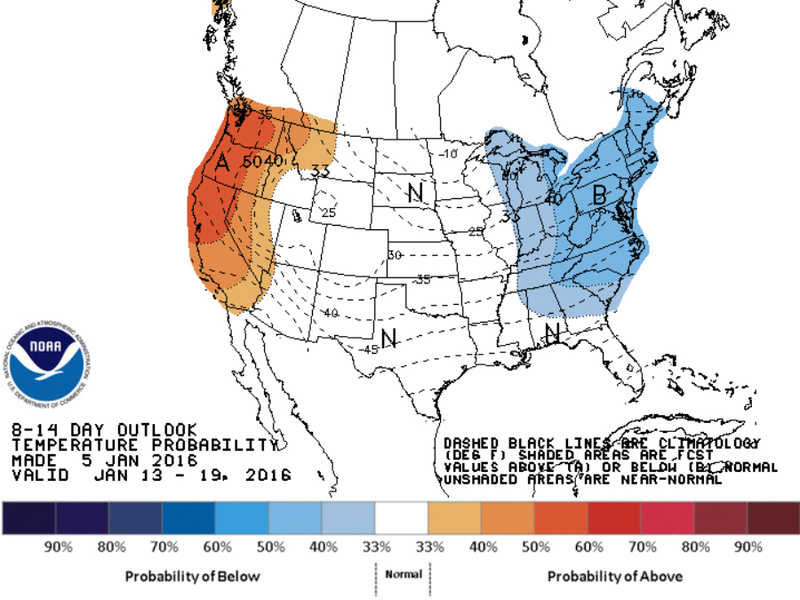 It's been a mild winter so far for most of the country, but that's about to change next week. 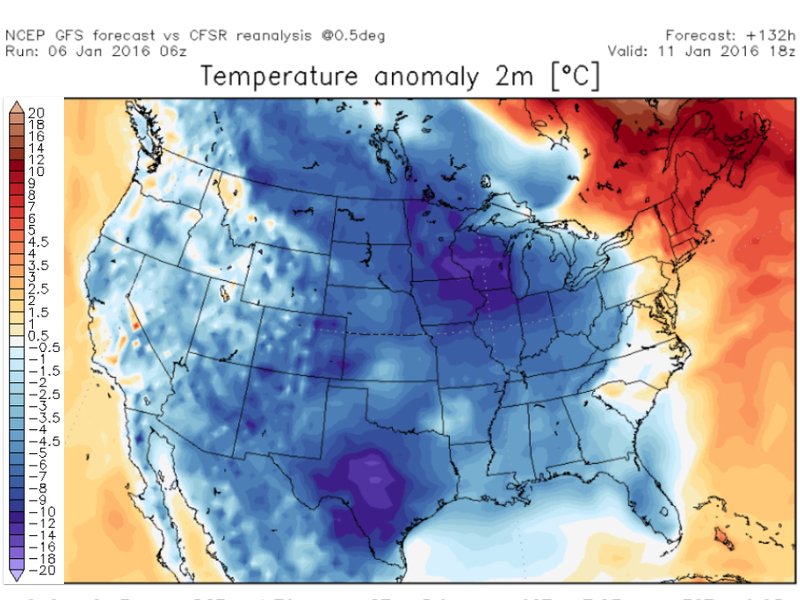 The pattern the last six weeks has seen its ups and downs, but the overall average has been warmer air in the eastern half of the country and cooler air in the western half. This same trend will continue into the weekend, too. At the same time this weekend, you'll notice some bitterly cold air creeping into the Northern Plains with temperatures that are upwards of 20 degrees below the average. Early next week, that cold air continues to grow and spread out into the eastern half of the country. By Monday next week, everyone except for the Northeast will be experiencing some colder than usual temperatures. It doesn't look like this pattern will last long. 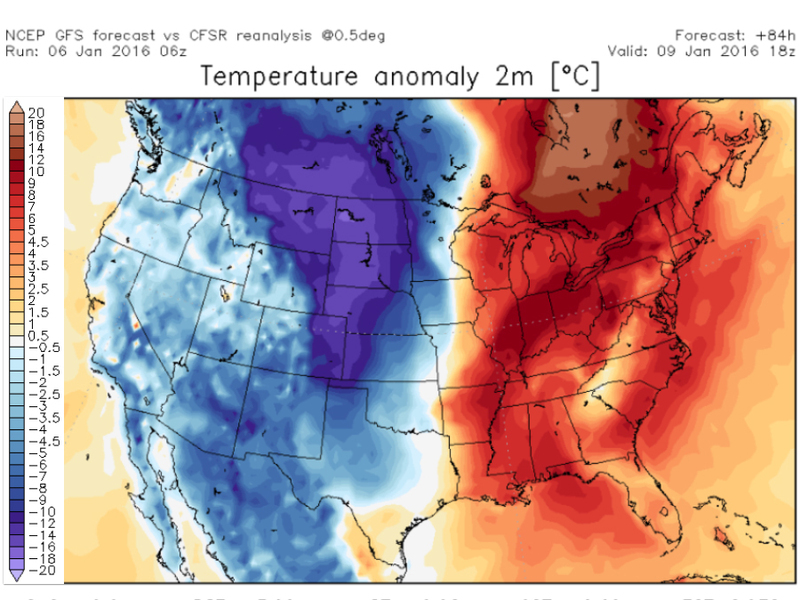 Long-term forecast models show the cold air moderating and moving east by the third week of January. In the meantime, better break out those extra layers if you haven't done so already - especially if you're in the Northern Plains or the Upper Midwest.